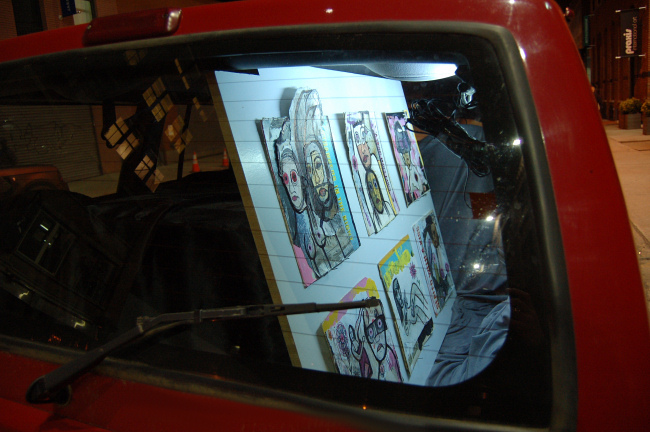 Scott Lickstein, Joseph Meloy, Seth Mulvey and Elisha Sarti. 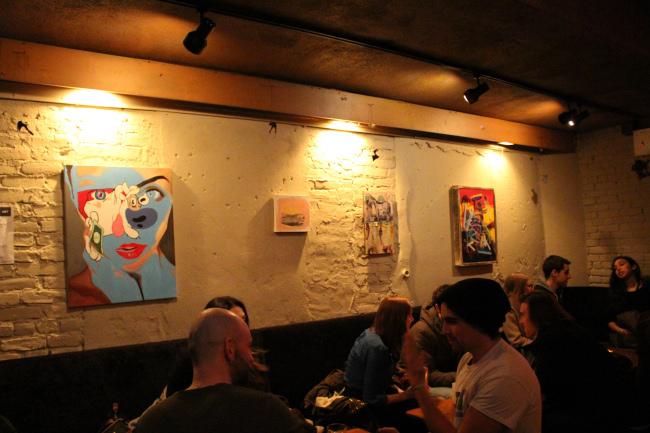 Crackle & Glow, paintings presented by NOWhere Limited at Arlene’s Grocery. 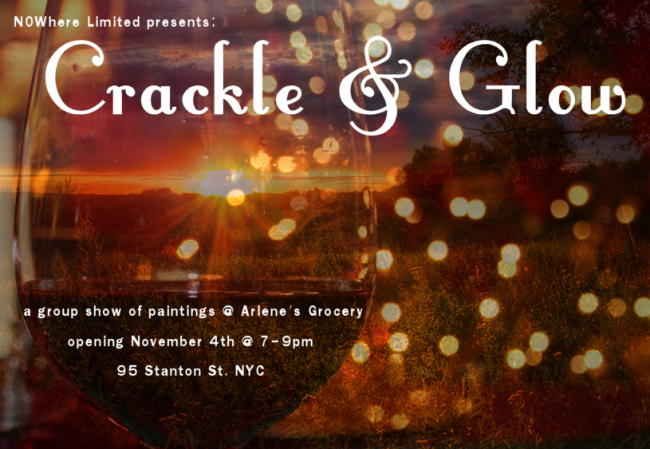 Invitation to Crackle & Glow, paintings presented by NOWhere Limited at Arlene’s Grocery. 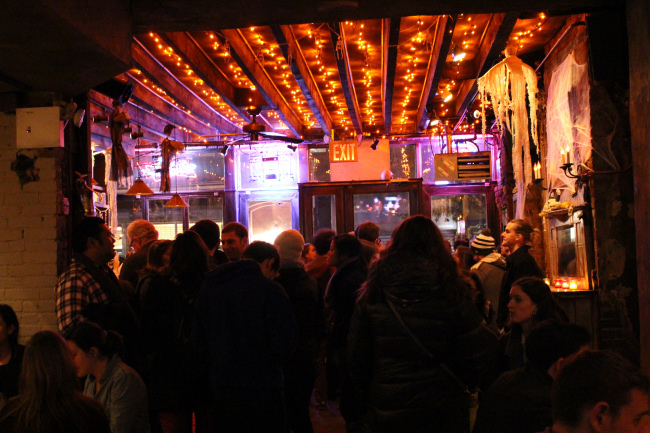 Jeffrey Gitei Hall at Chelsea, NYC’s Smallest Art Space. 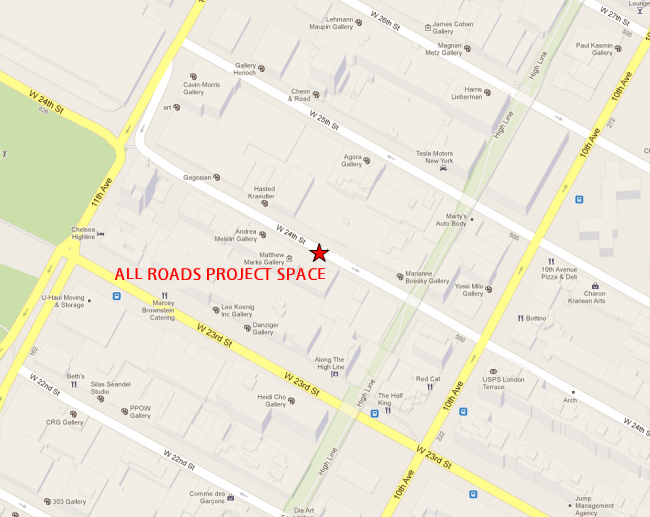 On view @ The All Roads Project by NOWhere Limited, Thursday, March 21, 2013, 6-8:30pm. 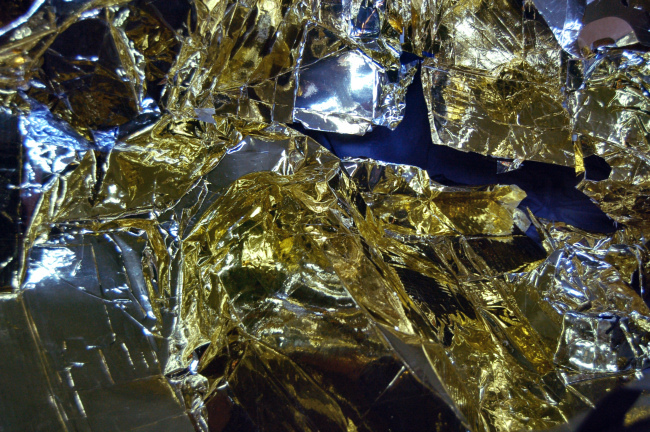 March 19, 2013, New York, NY – NOWhere Limited Contemporary Art – This Thursday evening, March 21, “Plastic Gold Mine,” a sculptural installation by Jeffrey Gitei Hall will be on view as the eighth exhibit at NOWhere Limited’s “All Roads Project.” It’s a one night only viewing, from 6 until 8:30pm, curbside on West 24th Street, between 10th and 11th Avenues in the Chelsea neighborhood of NY, NY. 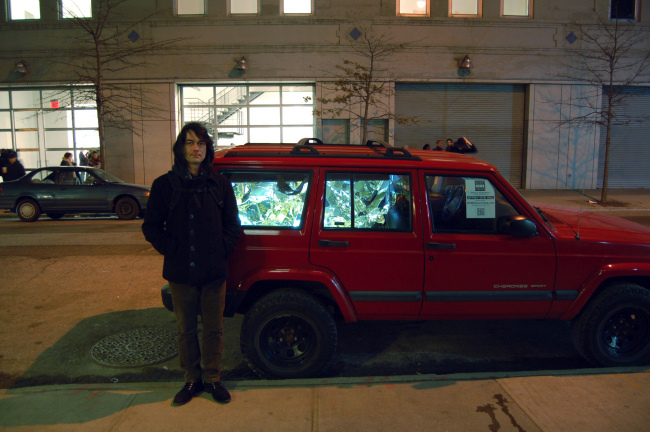 American artist Jeffrey Gitei Hall is known for his absurd and personal approach to formalism. 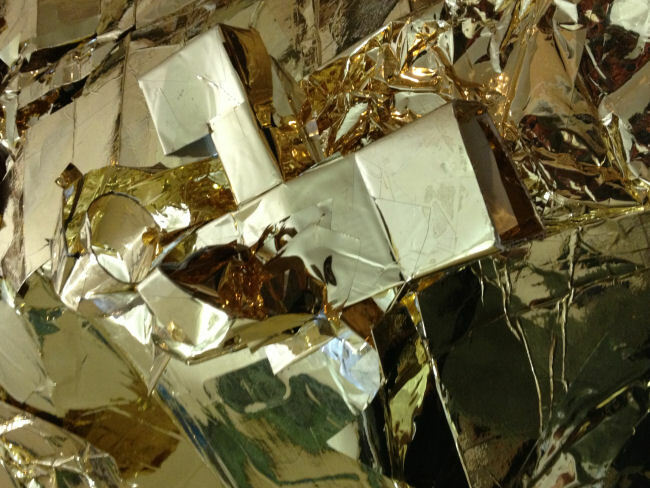 Using banal, everyday materials like cardboard, plastic wrap, tape, and fabric, Jeffrey creates abstract sculpture and installations that are an investigation in reductive form and content. 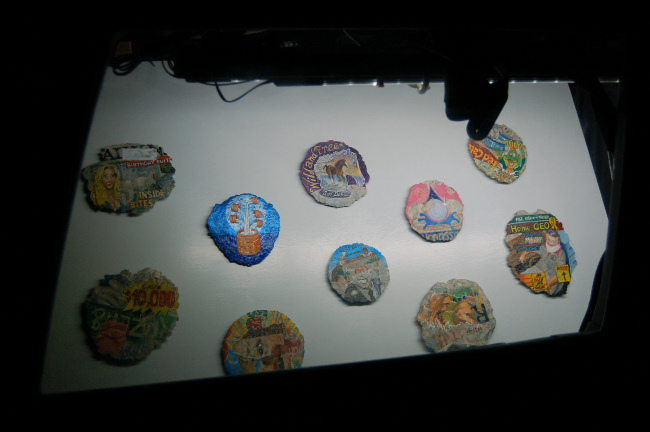 Jeffrey’s artwork references images, materials, and issues that are evident in science, philosophy, and art. 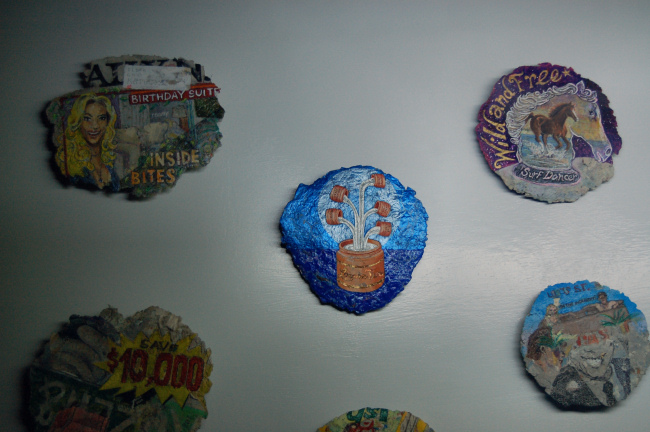 The combination of these elements produces unique objects constructed through a bizarre set of reclaimed and repurposed behaviors. 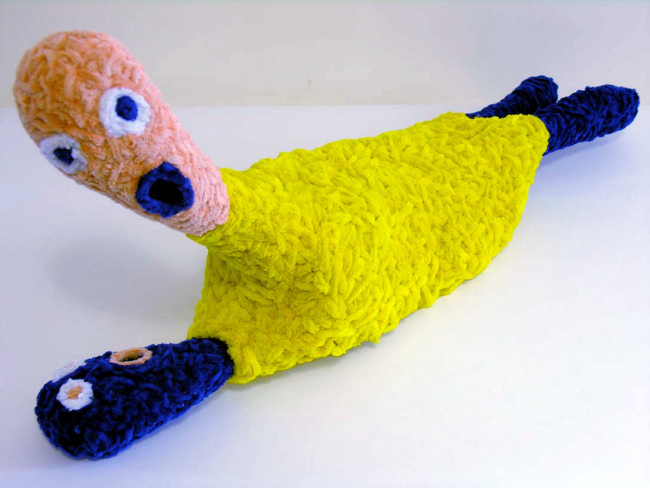 Although Jeffrey uses personal, historical and cultural context as elements within his work, he insists that his sculpture and installations are not about teaching or instructing the viewer. 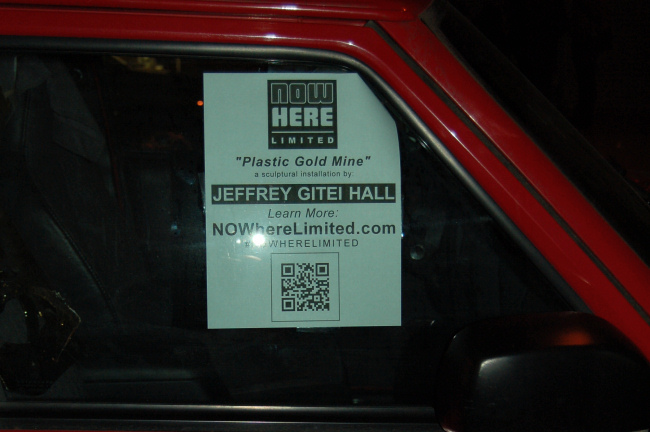 Born in 1969, Jeffrey has lived in Japan and several cities in America while his father was in military service. 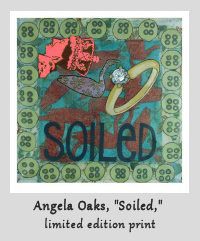 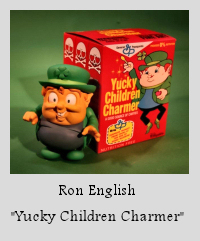 He studied at the University of Nebraska-Omaha where he received a BFA in Painting and continued his training at Tyler School of Art in Philadelphia where he received an MFA in Sculpture. 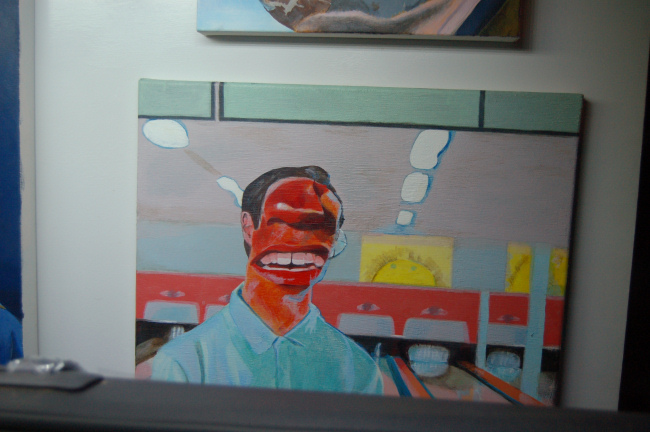 He currently lives and works in New York, New York. 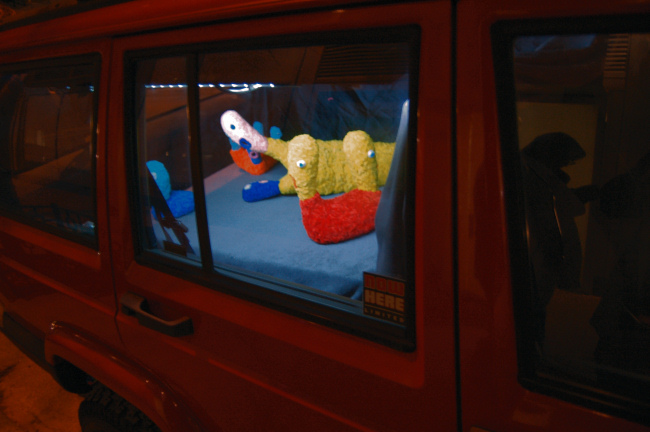 Conceived with a “waste not want not” mentality, artists Elisha Sarti and Scott Lickstein, co-founders of NOWhere Limited, converted their SUV into one of Chelsea’s smallest art spaces. 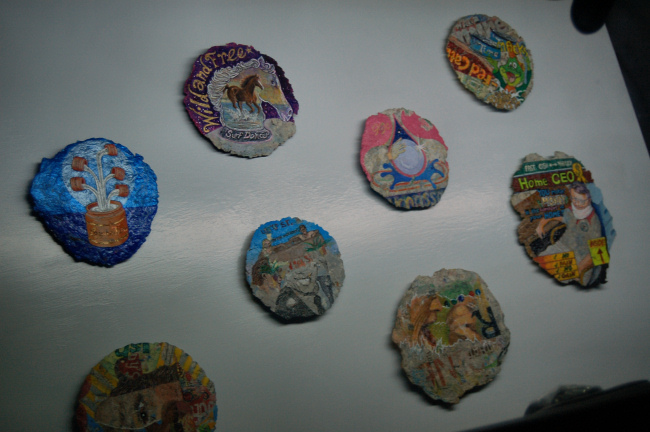 Plastic Gold mine, Jeffrey Gitei Hall @ The All Roads Project by NOWhere Limited. 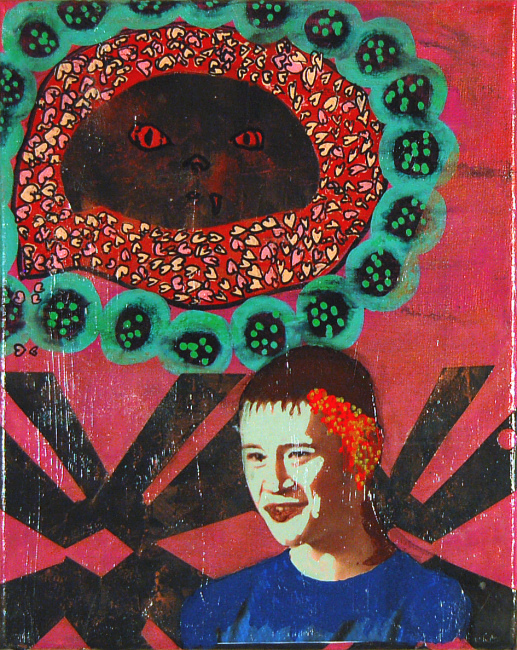 Horizontal Muro, Joseph Meloy, 2012, Acrylic, oil marker & collage on salvaged wooden box, 34.25 x 14 inches. 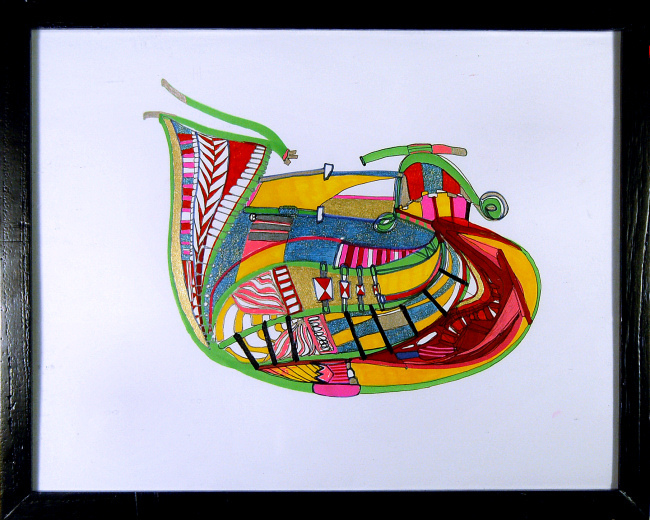 Click here to see a larger image of this piece. 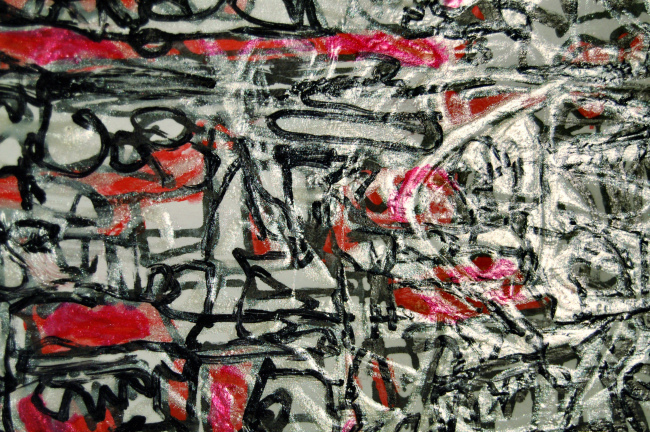 Horizontal Muro, Detail, Joseph Meloy, 2012, Acrylic, oil marker & collage on salvaged wooden box, 34.25 x 14 inches. 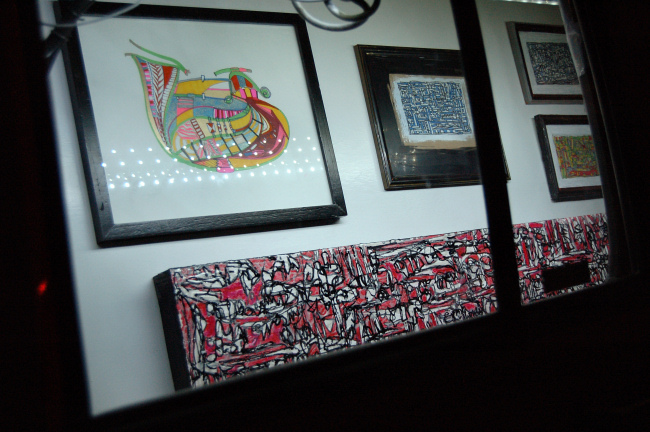 New Work by Joseph Meloy Rolls into Chelsea, NYC, Thursday, February 28, 2013. 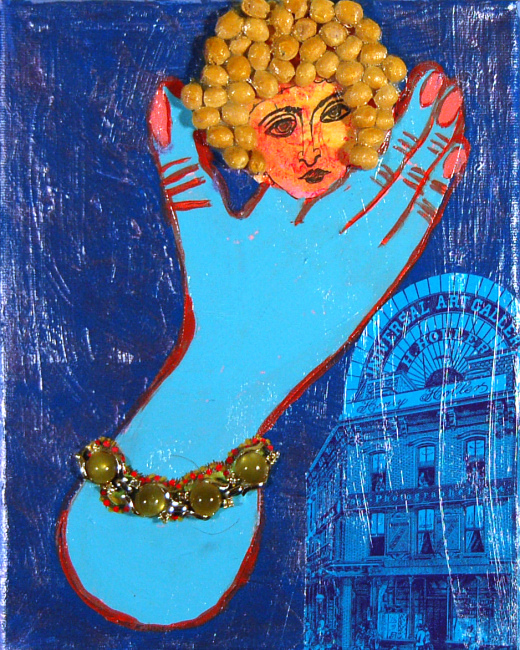 Balancing Act, Joseph Meloy @ The All Roads Project by NOWhere Limited, Thursday February 28, 2013, 6-8:30pm. 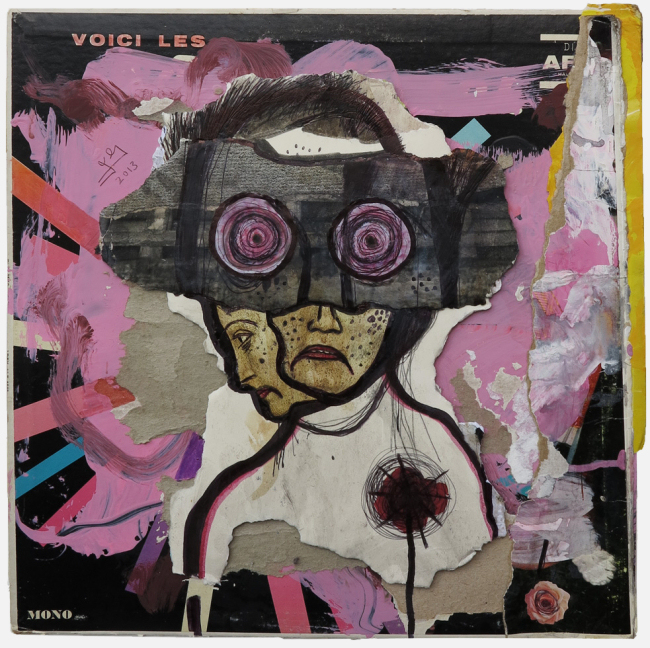 Joseph Meloy (b. 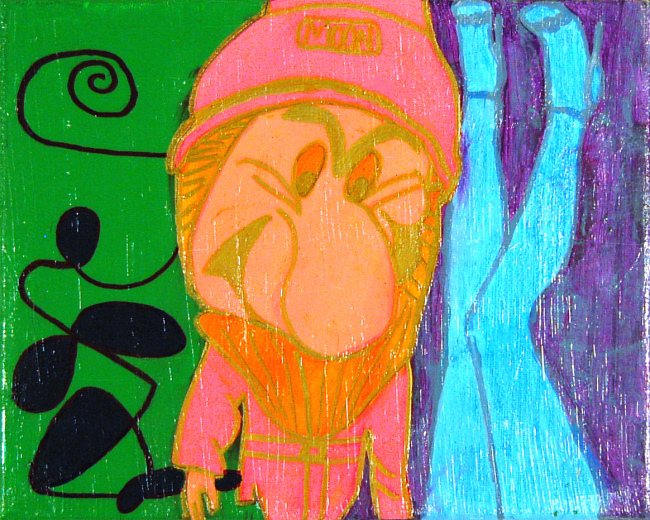 1982, New York City) coined the term Vandal Expressionism to tag his personal post-graffiti spin on abstract art. 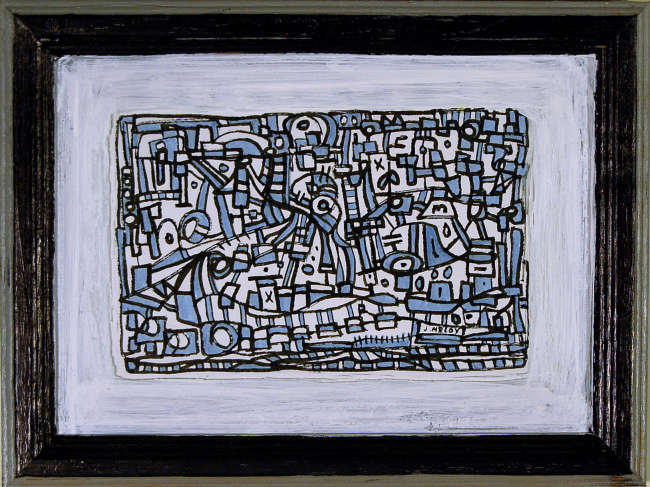 Drawing heavily from abstract expressionism, art brut, surrealism and pop art, Joseph incorporates some of the more primal elements of graffiti and the iconography of damage and intrusion from street art and turns the calligraphic scribbles of the street into a medium for artistic divination. 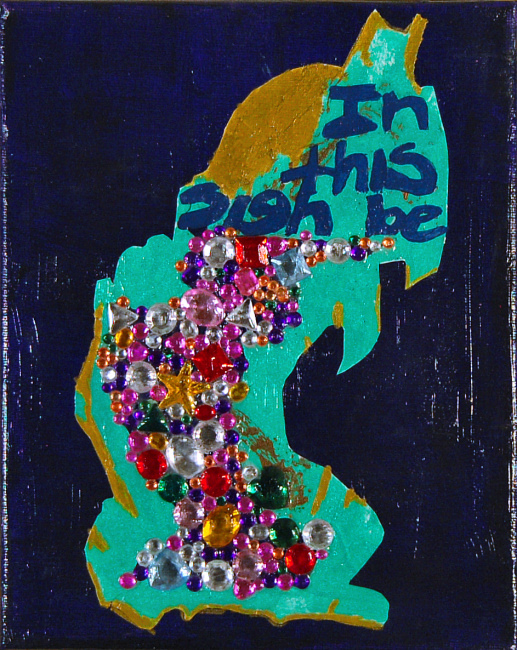 Unencumbered by distinctions between the abstract and the figurative, Joseph’s work delves into the impulses of the subconscious, pouring them out onto canvas, paper and wall in an otherworldly yet distinctly urban visual language. 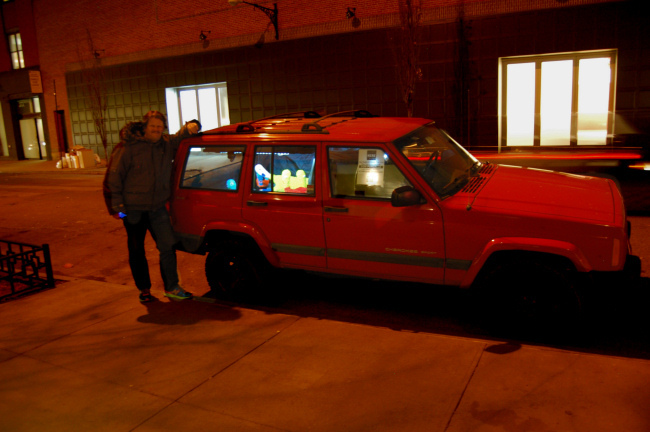 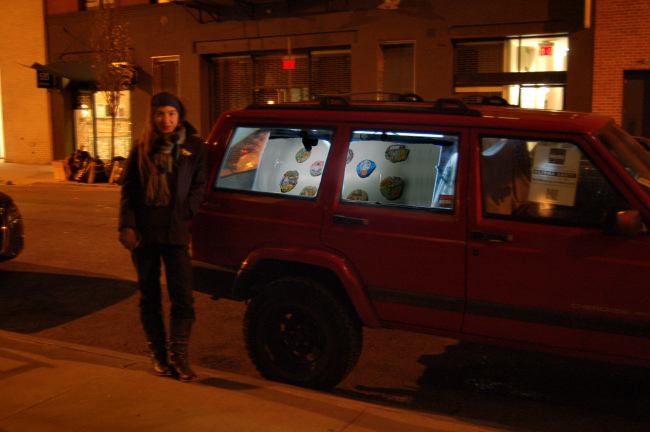 Conceived with a “waste not want not” mentality, artists Elisha Sarti and Scott Lickstein, co-founders of NOWhere Limited, converted their SUV into Chelsea’s smallest art space. 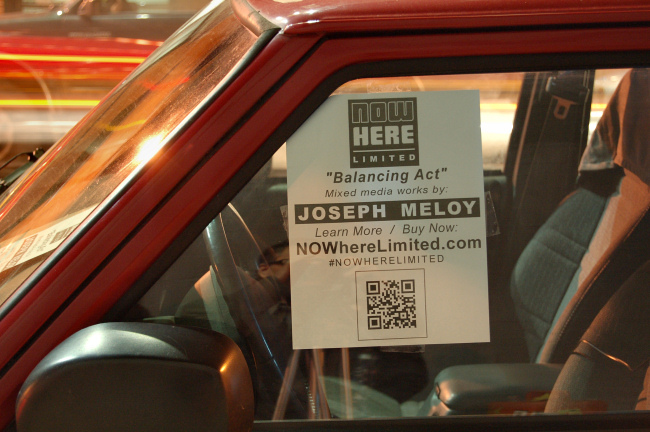 Balancing Act, Joseph Meloy @ The All Roads Project by NOWhere Limited. 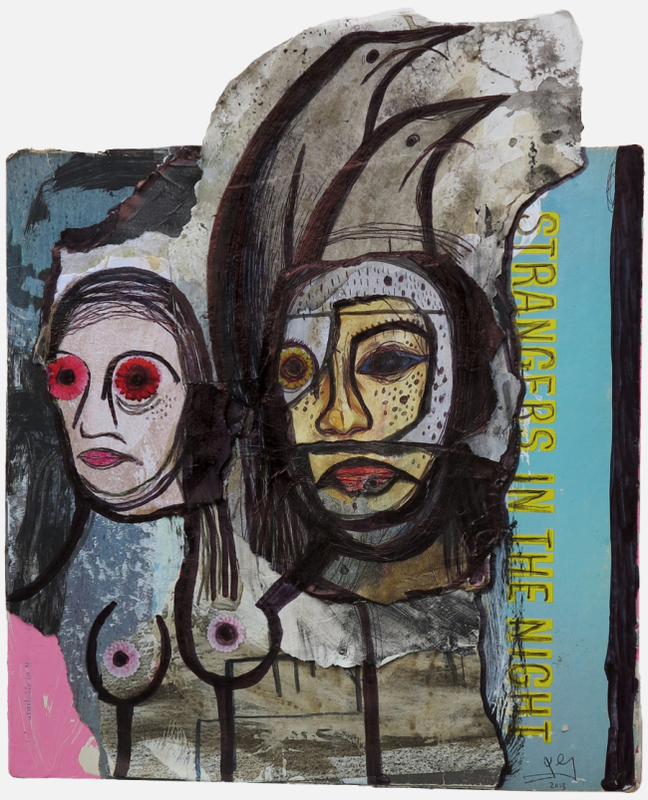 Strangers in the Night Ian Gamache, Mixed media on cardboard album sleeve, 12.5 x 14.5 inches (31.75 x 36.83 cm,) 2013. 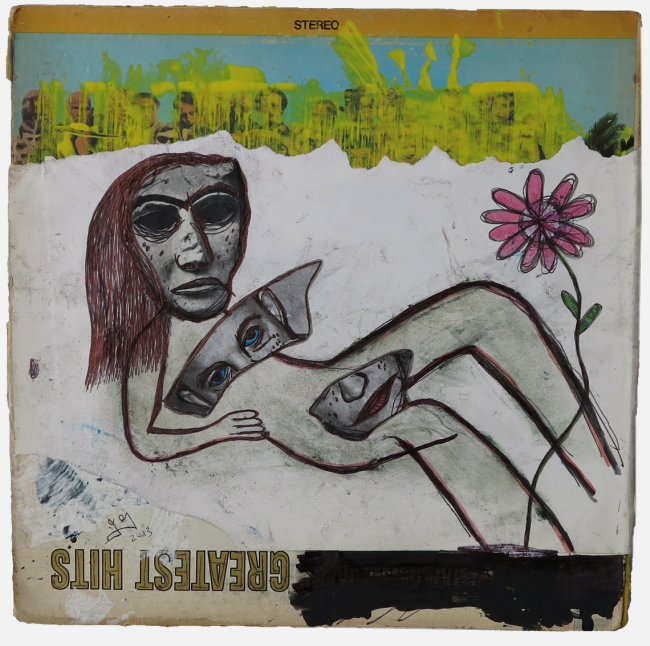 Here are the Broken Hearts Ian Gamache, Mixed media on cardboard album sleeve, 12.5 x 12.5 inches (31.75 x 31.75 cm,) 2013. 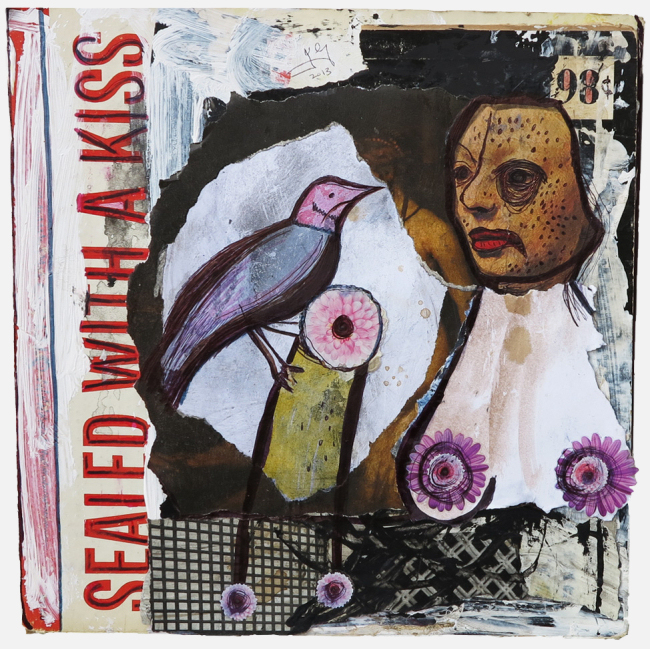 Sealed with a Kiss Ian Gamache, Mixed media on cardboard album sleeve, 12.5 x 12.5 inches (31.75 x 31.75 cm,) 2013. 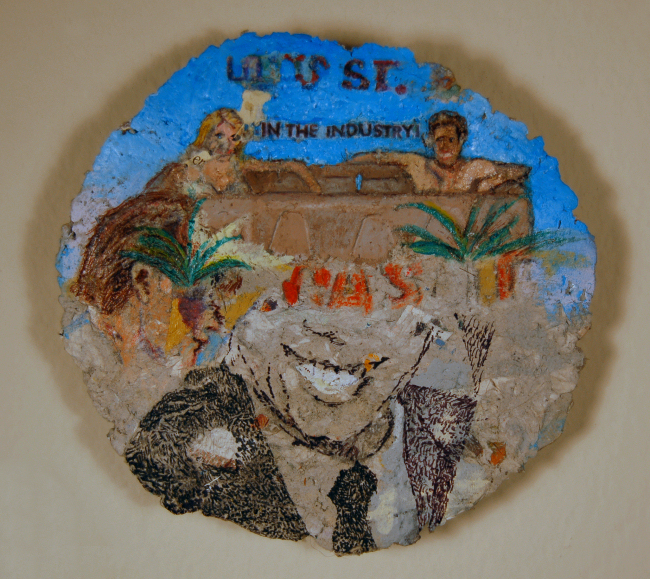 Greatest Hits Ian Gamache, Mixed media on cardboard album sleeve, 12.5 x 12.5 inches (31.75 x 31.75 cm,) 2012-13. 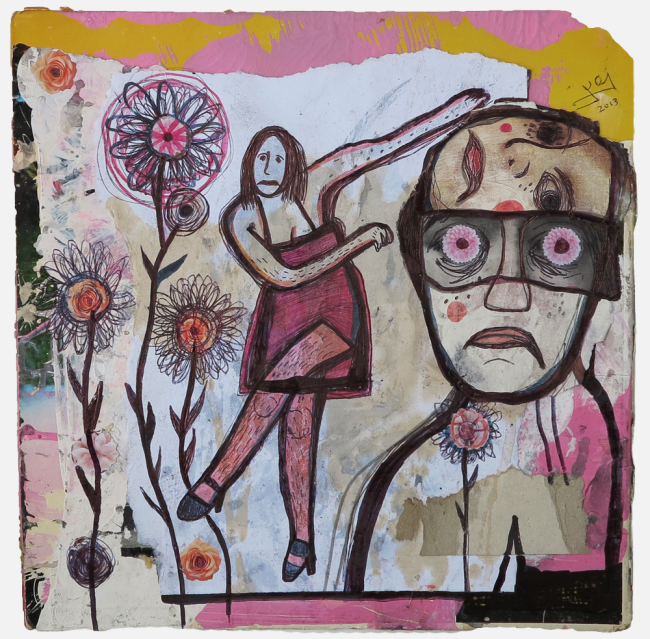 The Dancer and a Fool in Love Ian Gamache, Mixed media on cardboard album sleeve, 12.5 x 14.5 inches (31.75 x 36.83 cm,) 2012-13. 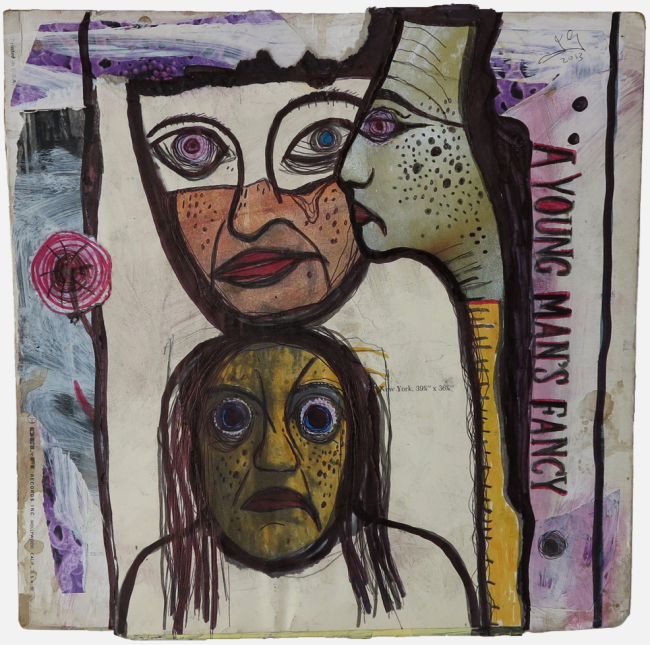 A Young Man’s Fancy Ian Gamache, Mixed media on cardboard album sleeve, 12.5 x 12.5 inches (31.75 x 31.75 cm,) 2013. 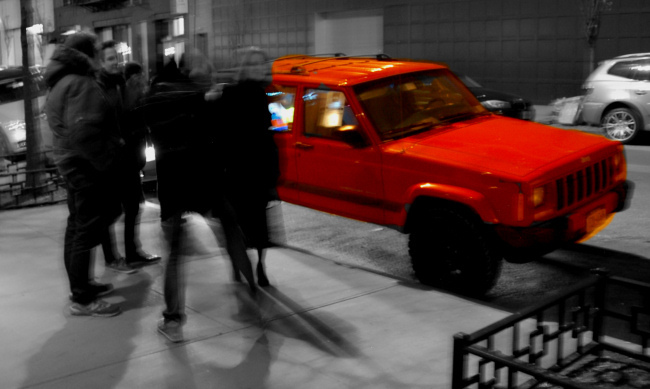 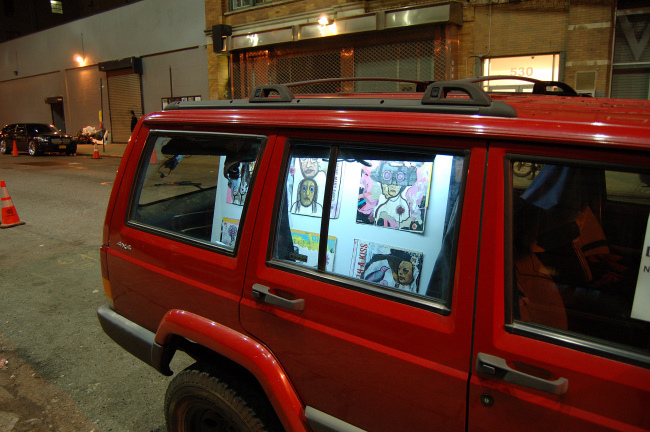 New Work by Ian Gamache Rolls into Chelsea, NYC, Thursday, February 21, 2013. 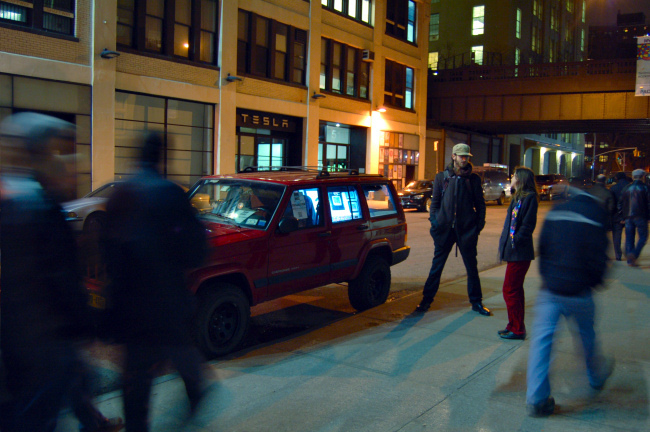 Strangers in the Night, Ian Gamache @ The All Roads Project by NOWhere Limited, Thursday February 21, 2013, 6-8:30pm. 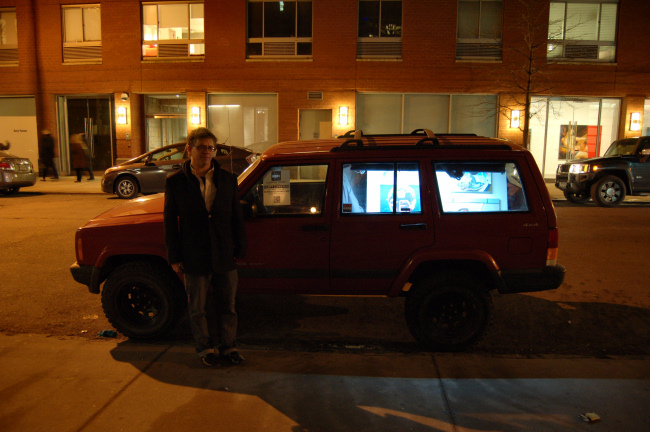 Ian Gamache is an artist living in Montreal. 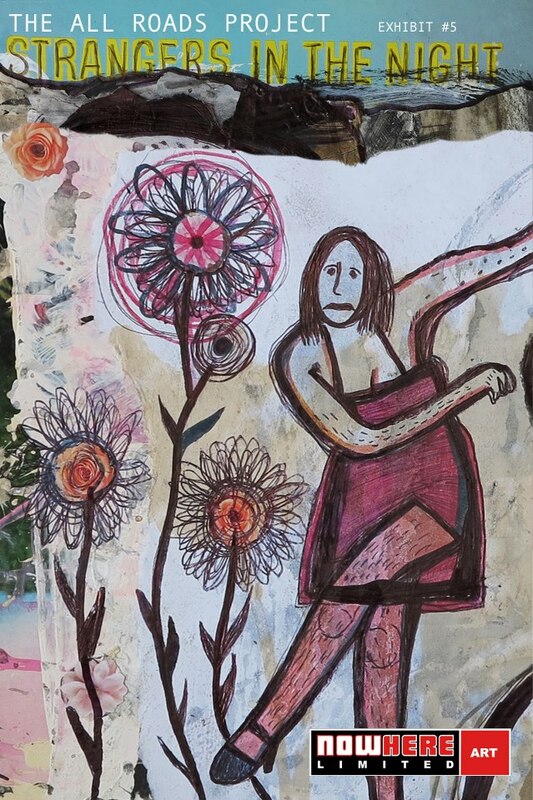 His work is rooted in the traditional mark making disciplines such as painting and drawing, but he also incorporates photography, collage, onsite projects and installation. 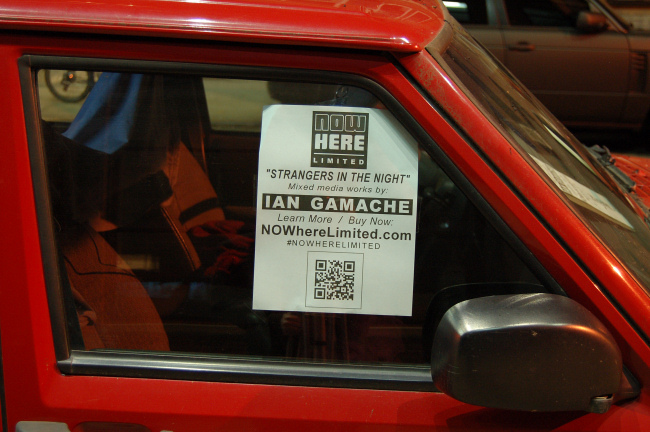 Strangers in the Night, Ian Gamache @ The All Roads Project by NOWhere Limited. 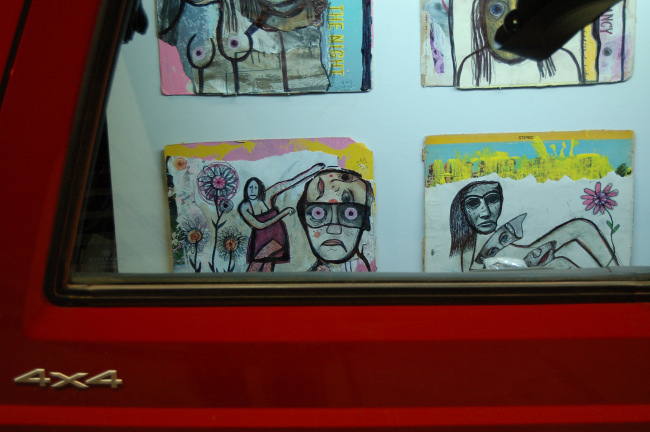 Scott Lickstein at Chelsea, NYC’s Smallest Art Space. 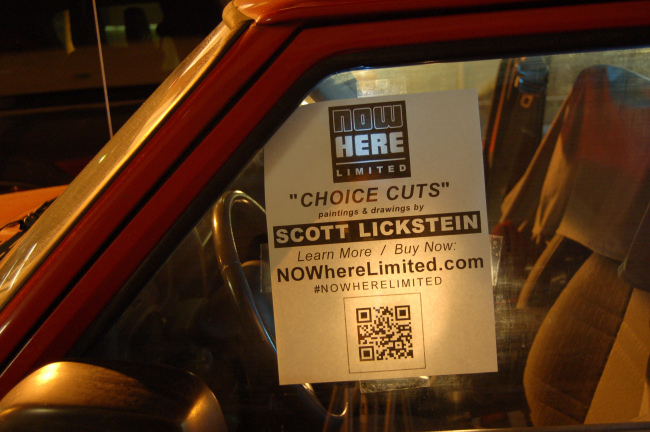 Choice Cuts, Scott Lickstein @ The All Roads Project by NOWhere Limited. 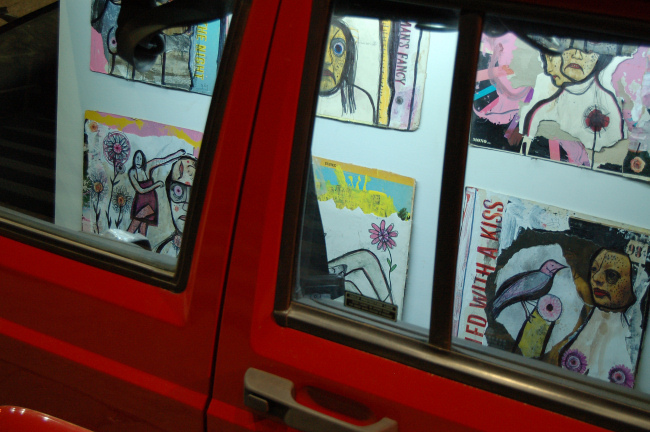 The fervent pursuit of visual art, his own and others, fills the days of Scott Lickstein. 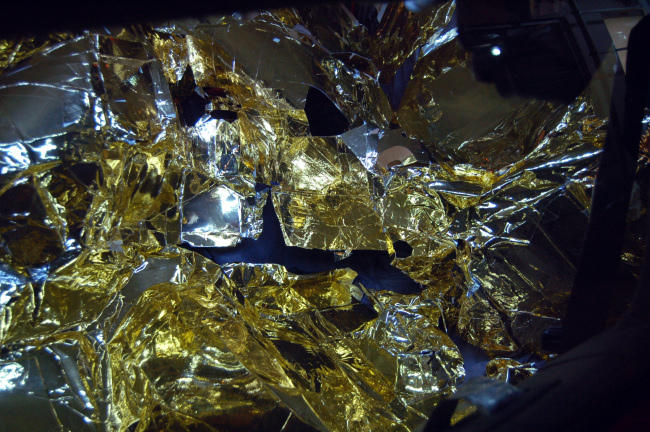 His personal work arises from the agitation caused by paradoxical maxims. Grinding disparate imagery sparks ideas and visual juxtapositions that the logical mind has instinctively denied. 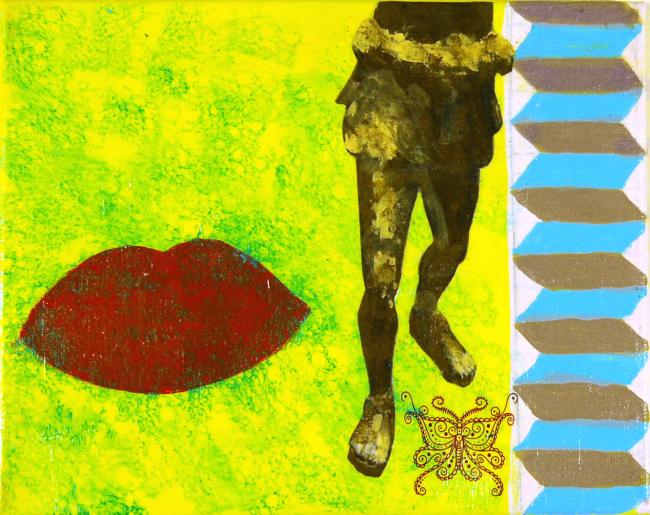 Humans have been for some time evolving beyond the early necessity of pure instinct. 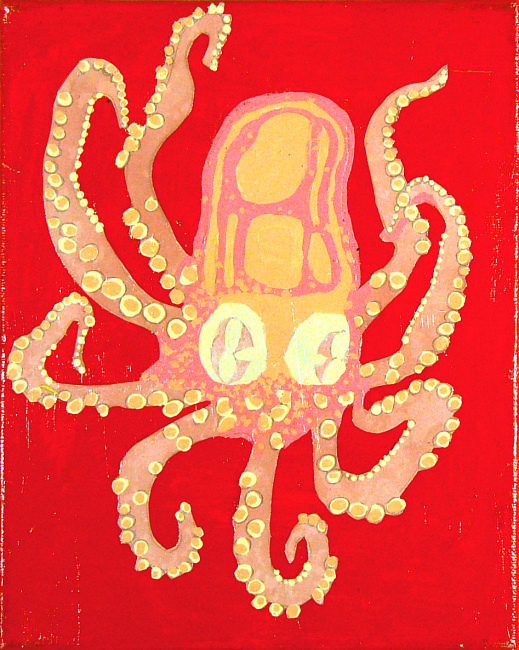 Robert Motherwell declared collage as the most important discovery of the twentieth century. 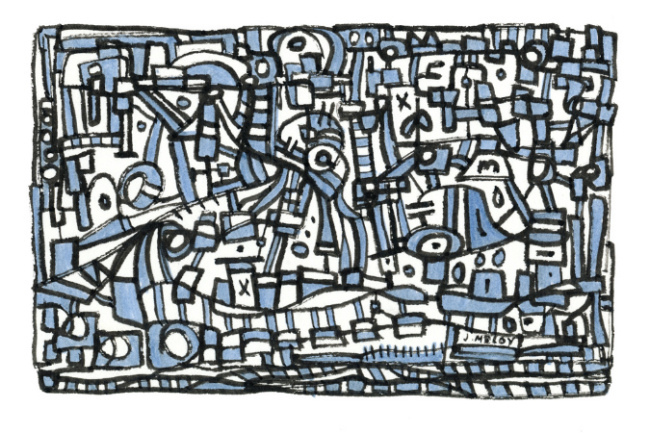 He wasn’t referring to the idea of cut and paste. 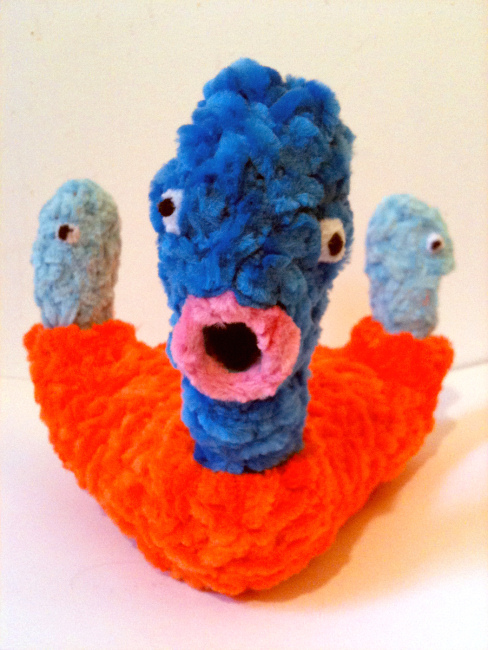 He was pondering the exploration of infinite potential. 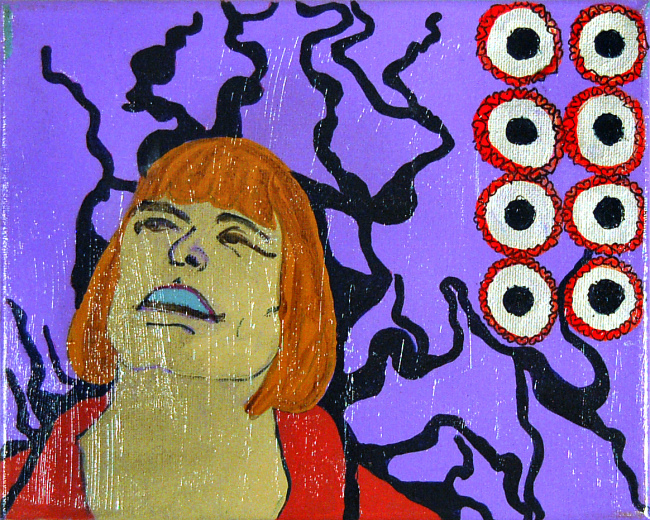 Contemporary life is ocular bombardment. 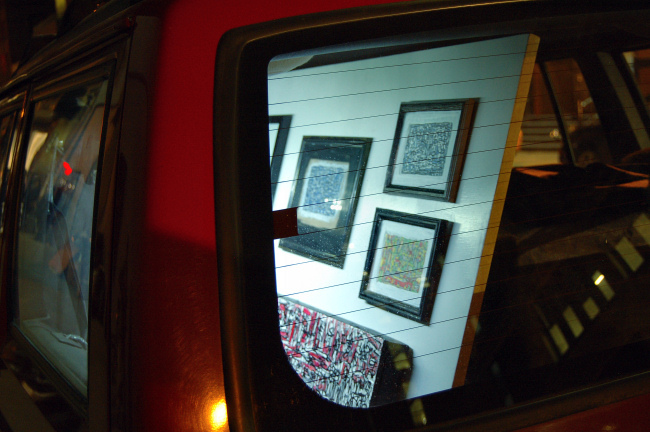 Content is overlapped beyond the veil of the conscious mind. 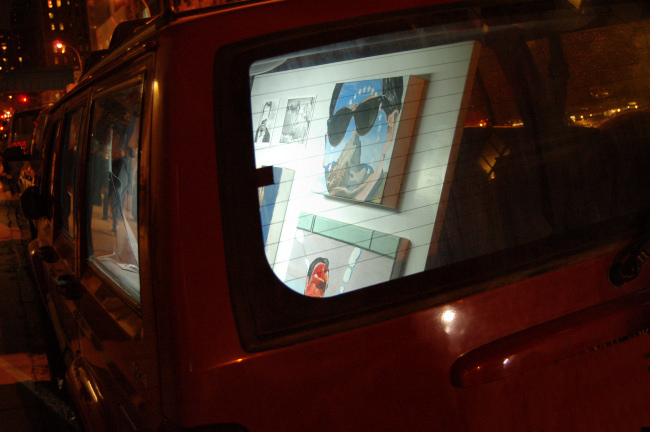 Control and manipulation of this data is the game for now and for the foreseeable future for this artist. 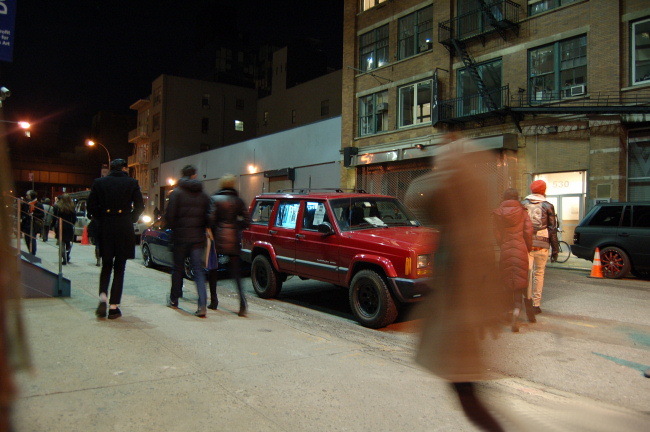 The Return of Chelsea, NYC’s Smallest Art Space. 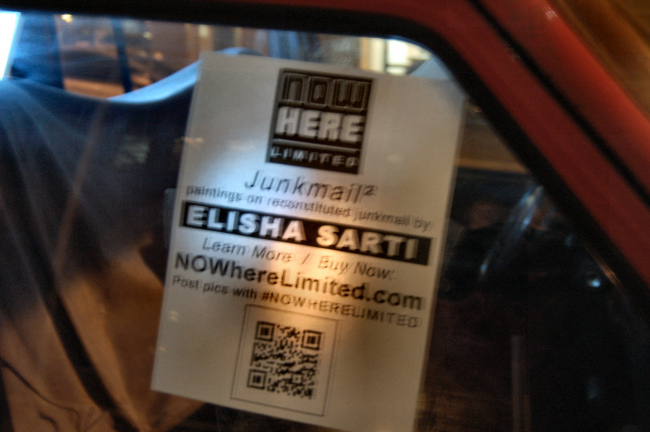 Junkmail², Elisha Sarti @ The All Roads Project by NOWhere Limited. 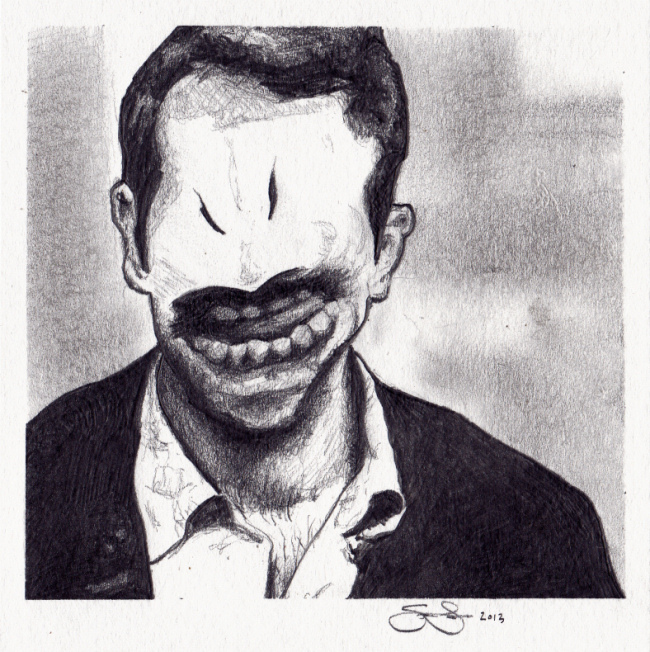 Fracker Scott Lickstein, Scott Lickstein, graphite on 140 lb acid free watercolor paper, approximately 6 x 6 inches (15 x 15 cm,) 2013. 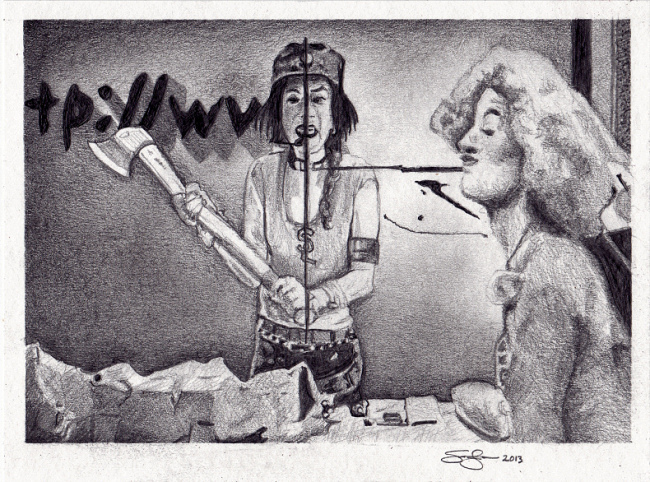 Double Back Slash Scott Lickstein, graphite on 140 lb acid free watercolor paper, approximately 6 x 8 inches (15 x 20 cm,) 2013. 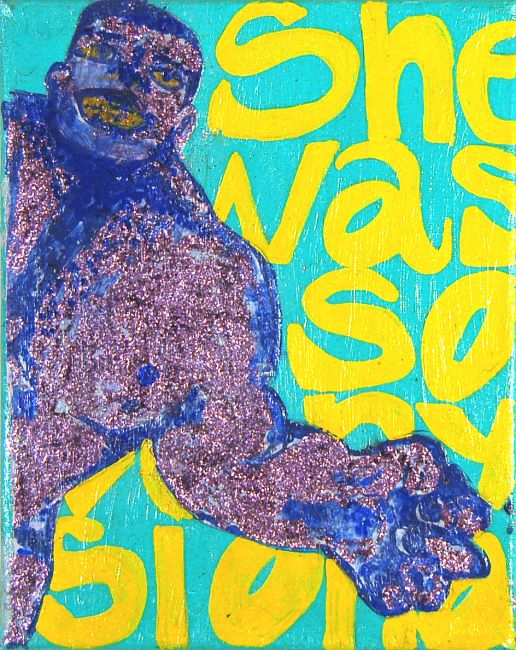 No Pain, No Gain, Elisha Sarti, Acrylic, colored pencil, ink on reconstituted junk mail, 6 in x 7.5 in x 0.5 in, $500 USD + Shipping. 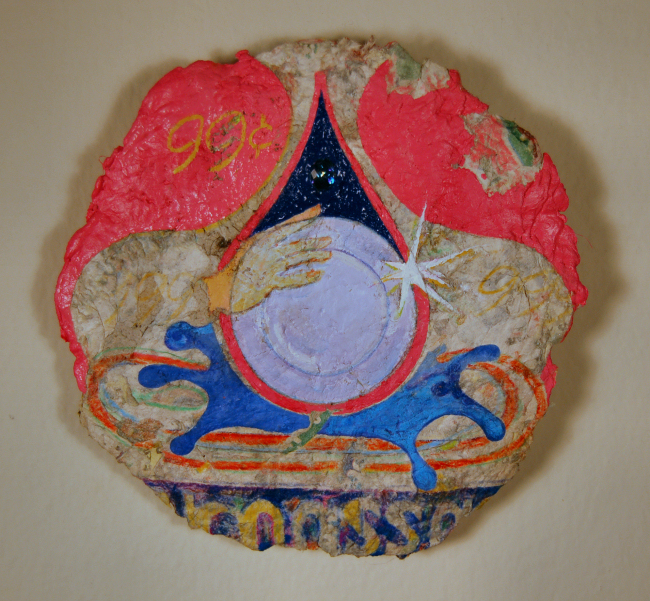 Or More, Elisha Sarti, Acrylic, colored pencil, ink on reconstituted junk mail with embedded gemstone, 5.5 in x 5.5 in x 0.5 in, $500 USD + Shipping. 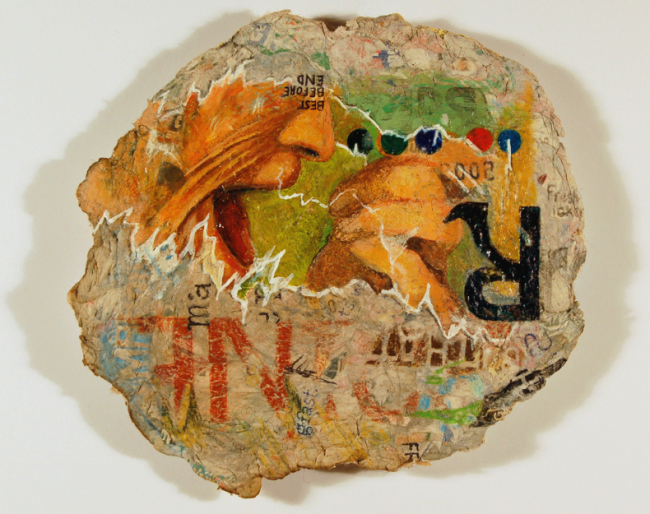 Best Before End, Elisha Sarti, Acrylic, colored pencil, ink on reconstituted junk mail 5.5 in x 5.5 in x 0.5 in, $500 USD + Shipping. 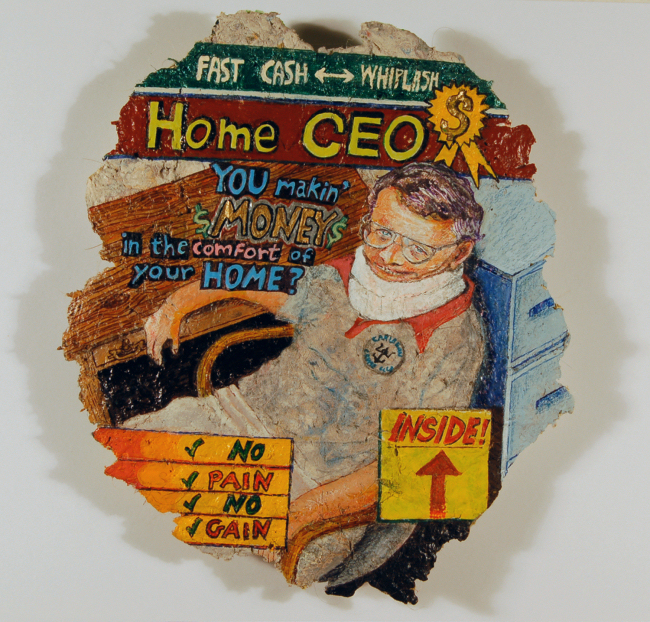 In The Industry, Elisha Sarti, Acrylic, colored pencil, ink on reconstituted junk mail, 5 in x 5 in x 0.5 in, $500 USD + Shipping. 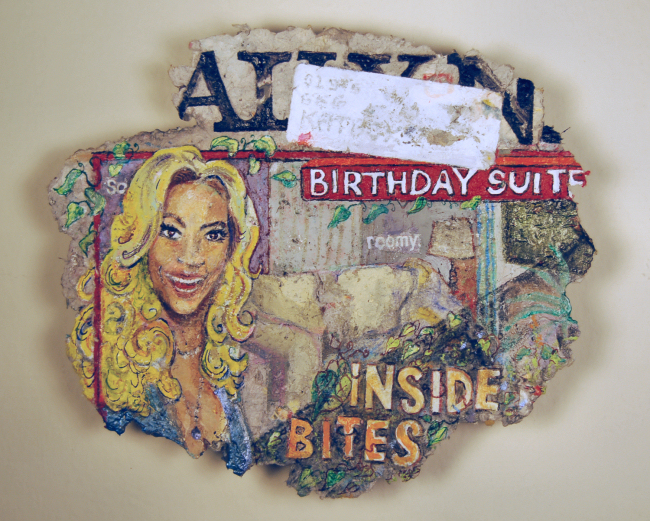 Inside Bites, Elisha Sarti, Acrylic, colored pencil, ink on reconstituted junk mail with embedded amethyst gemstone, 7 in x 6 in x 0.5 in, $500 USD + Shipping. 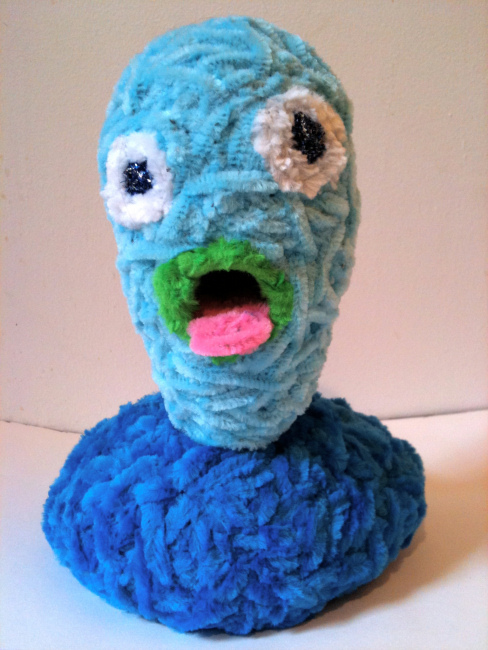 Split Personality, Don Porcella, pipe cleaners, 12 x 25 x 5 inches, 2009. 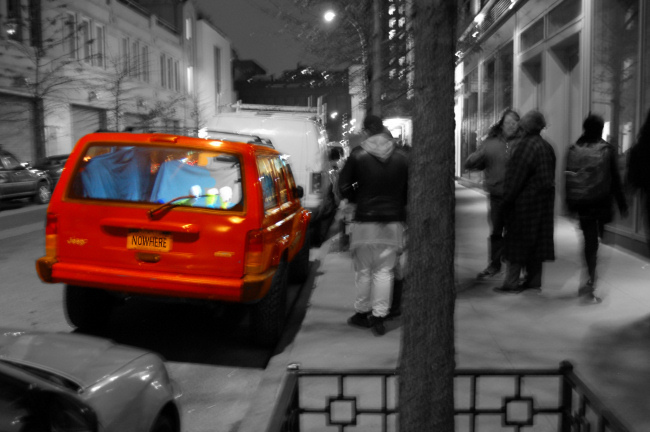 The Debut of Chelsea, NYC’s Smallest Art Space. 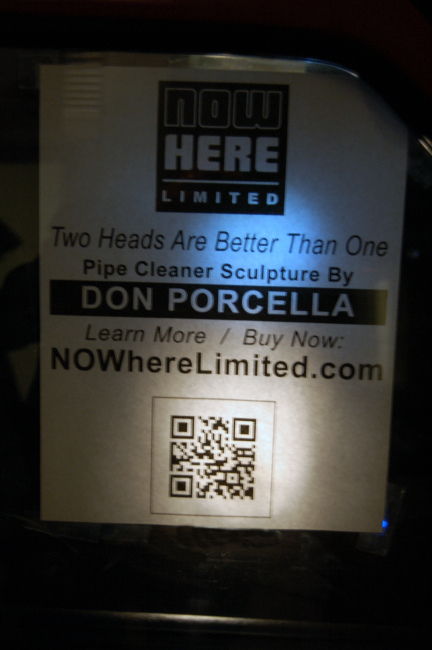 Two Heads Are Better Than One, Don Porcella @ The All Roads Project by NOWhere Limited. 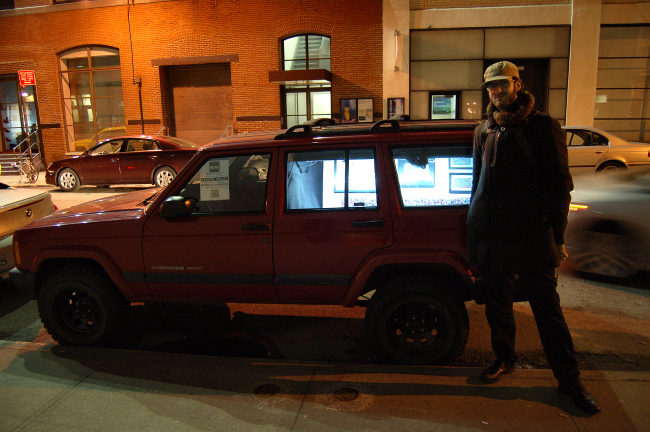 January 18, 2013, New York, NY – NOWhere Limited Contemporary Art – Last night in the Chelsea art district of NYC, a unique one night exhibit by artist Don Porcella christened NOWhere Limited’s latest project: All Roads. 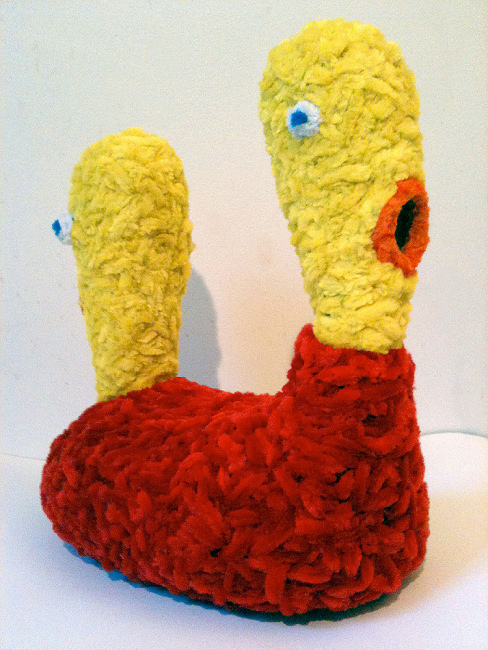 Porcella’s exhibit, titled Two Heads Are Better Than One featured four pipe cleaner sculptures, woven by hand with a self-created method the artist has developed and honed over time. 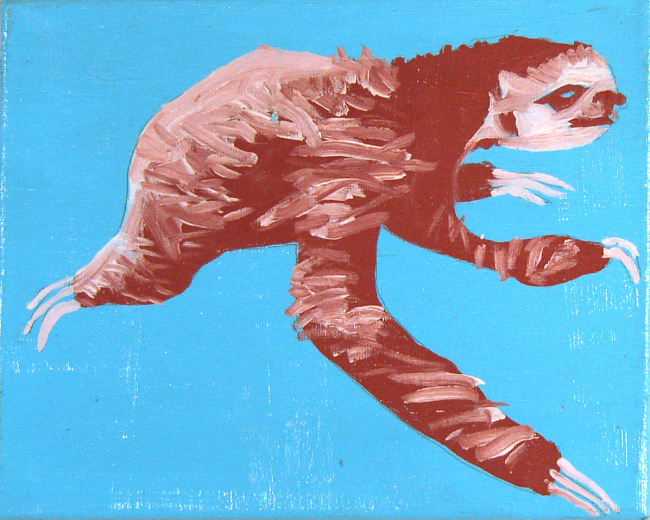 These playful yet expressive figures evoke feelings of primordial existence, the earliest stage of “becoming.” The artist’s interest in nature and human evolution came from his youth spent exploring the Sierra Nevada wilderness in California and the American West. 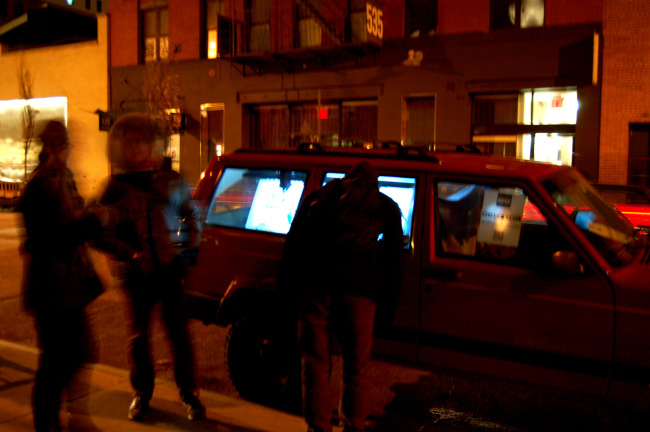 Now living and working in NYC, Porcella summons his earlier experiences in an animalistic call of the wild. 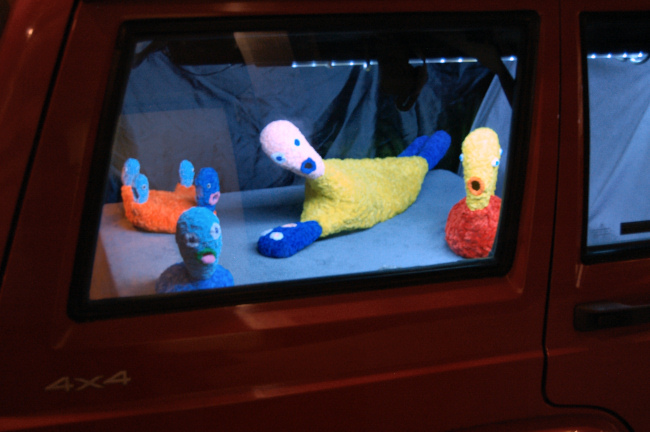 By creating paintings, sculpture, drawings and installations from materials such as handmade wax and woven pipe cleaners, Porcella seeks to transform these low-brow materials and elevate them to a high art context, while simultaneously laughing at the human condition and presenting a unique world that is shamelessly awkward and unabashedly comical. 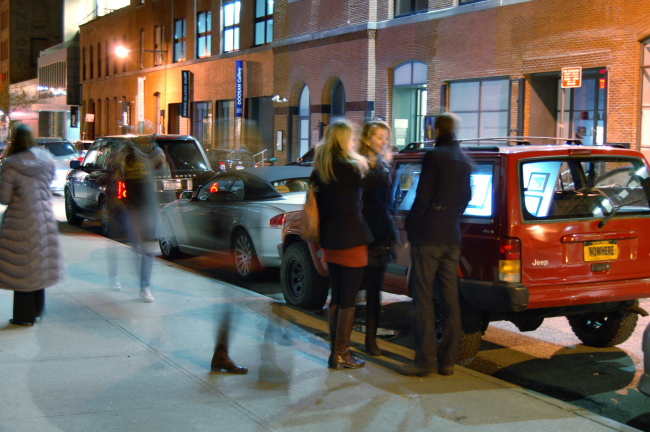 Chelsea, NYC’s Smallest Art Space Made its Debut January 17, 2013 on West 24th Street between 10th and 11th. 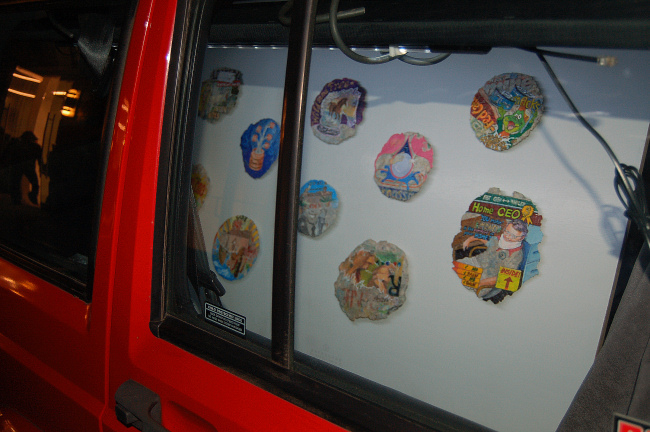 Visit the exhibits section to see shows featured as part of All Roads. 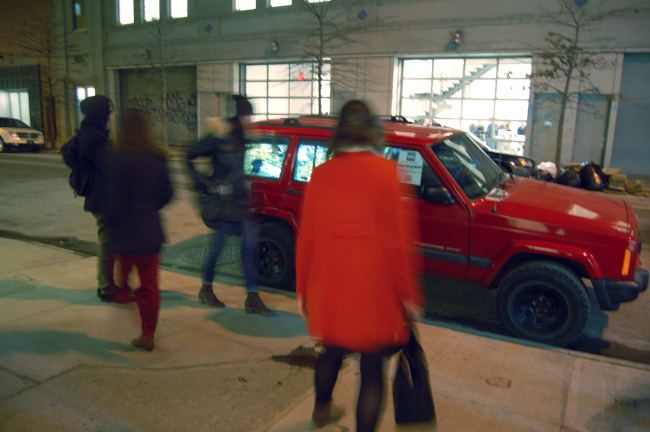 NOWhere Limited’s All Roads Project is a new experiment in alternative exhibition space. 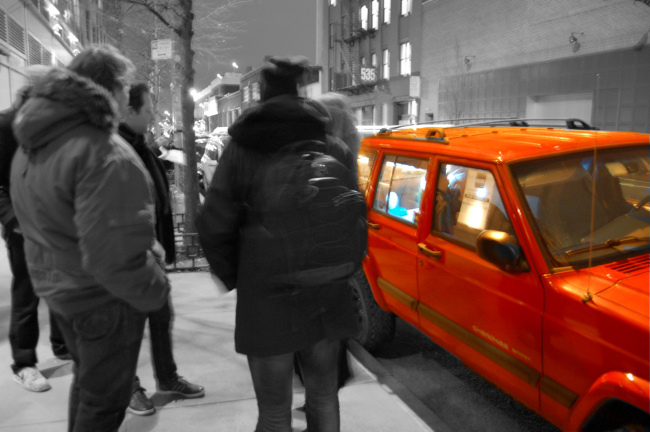 Conceived with a “waste not want not” mentality, artists Elisha Sarti and Scott Lickstein, co-founders of NOWhere Limited, converted their SUV into Chelsea, NYC’s smallest art space. 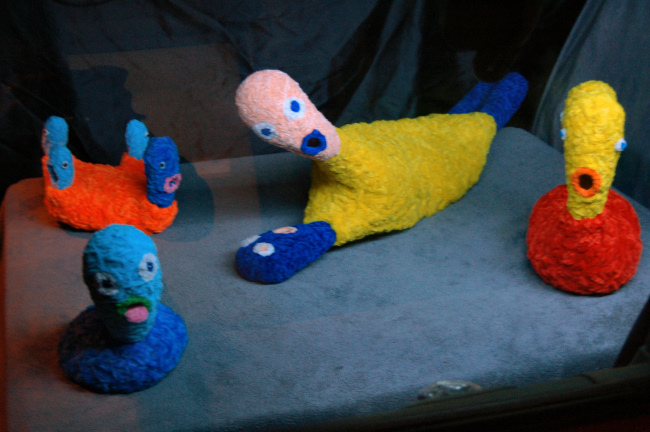 The unique 20 square foot display area featured a solo show of original pipe cleaner sculptures by Don Porcella as the inaugural exhibit. 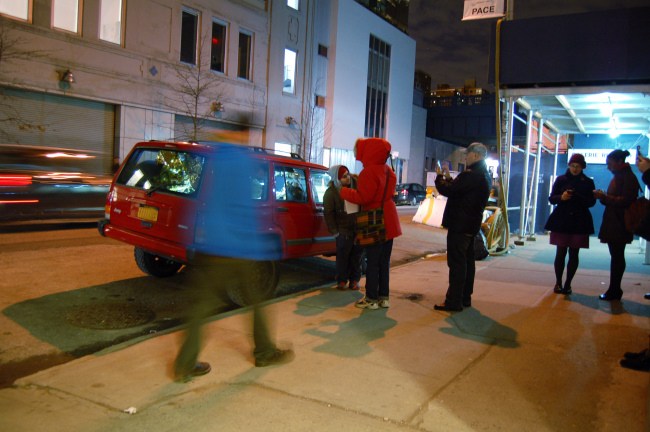 Don Porcella, Elisha Sarti, Steven Charles and Scott Lickstein. 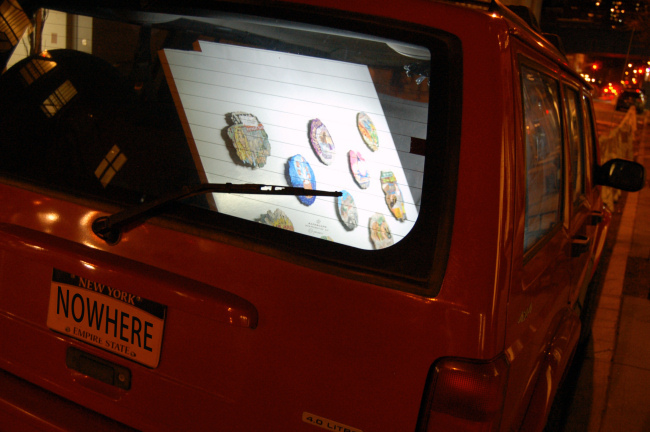 Future exhibits will showcase new work by Ian Gamache, Joseph Meloy, Angela Oaks and more. 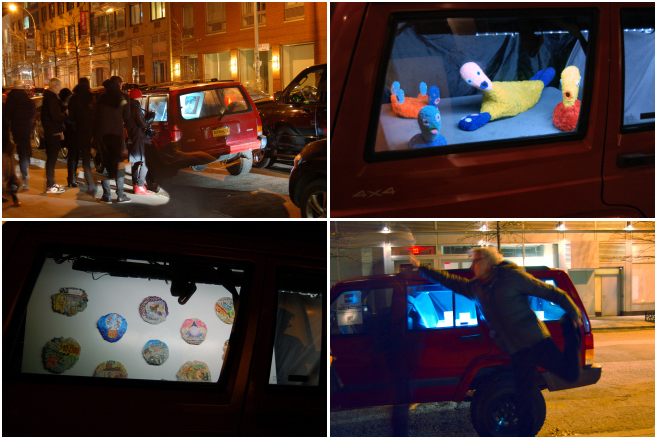 Pictured clockwise from top left, shows in the All Roads Project Space: Scott Lickstein – Choice Cuts, Don Porcella – Two Heads Are Better Than One, Elisha Sarti – Junkmail², Steven Charles – Ocean Size. 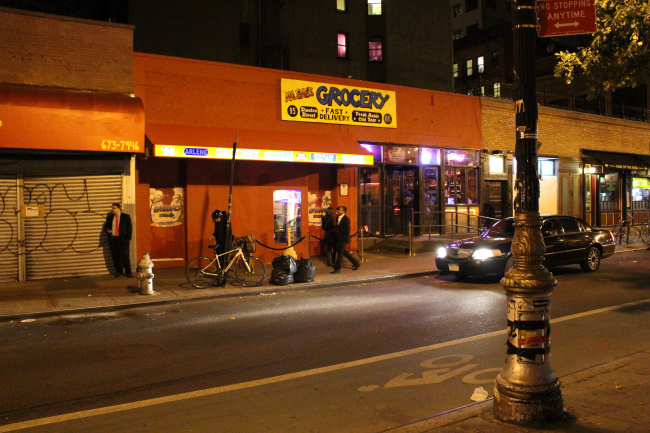 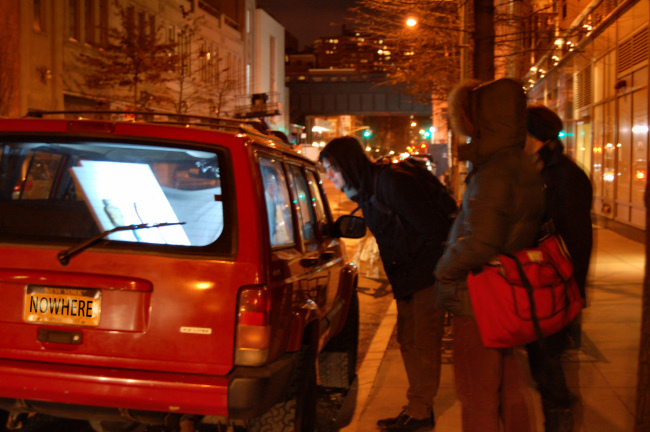 Most often, the All Roads Project by NOWhere Limited is parked on W. 24th Street, between 10th and 11th Avenues on Thursday evenings from 6 – 8:30pm. 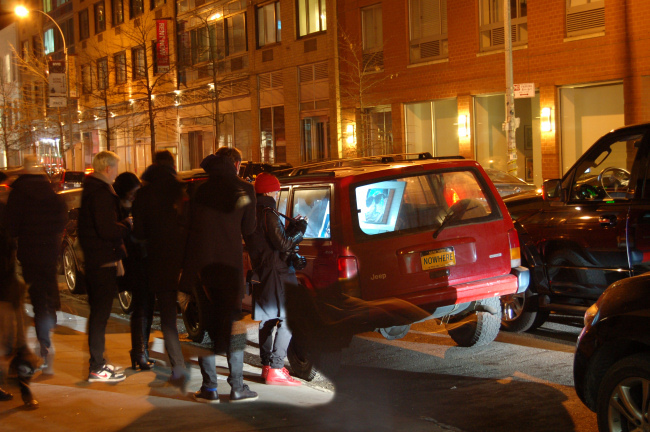 To be updated with the latest location and show information, follow NOWhere Limited’s mailing list, facebook, twitter or tumblr. 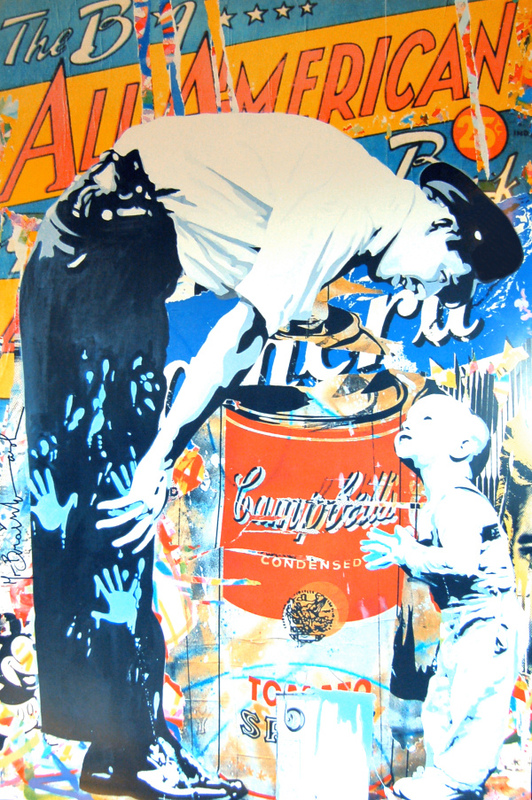 Not Guilty, Mr. Brainwash, offset lithograph, 36 x 24 inches. 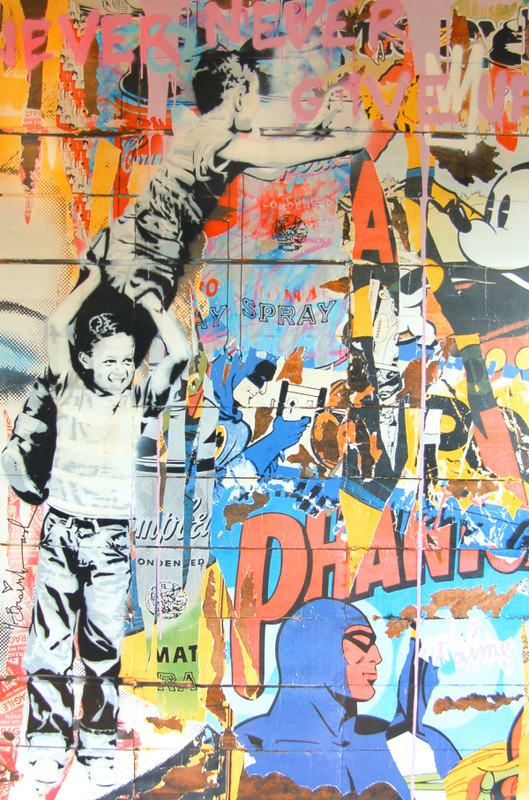 Never Give Up, Mr. Brainwash, offset lithograph, 36 x 24 inches.